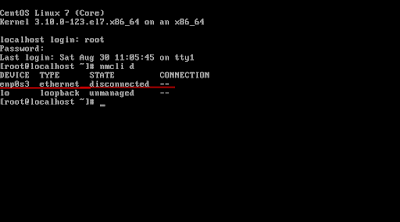 After fresh installation of Rhel 7, you may not be able to connect to that machine. This is because ethernet interfaces are not enabled by default. STEP 1: You can see the ethernet interfaces in the machine using "nmcli d" command. 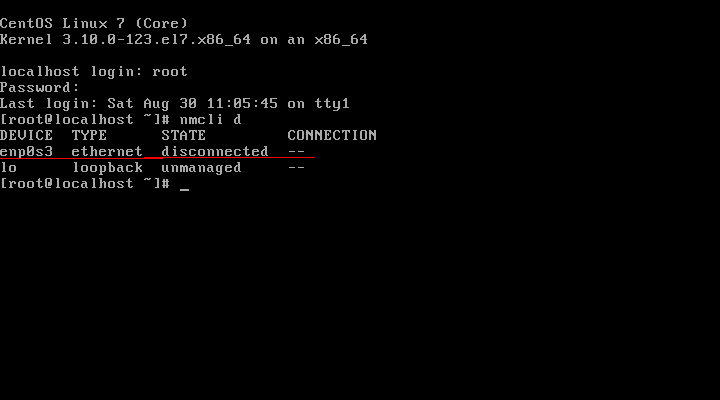 STEP 2: Use "nmtui" command to open a window of Network Manager. Choose "edit connection". STEP 3: Select the interface and click edit. STEP 4: Choose "Automatic" and "OK". Automatic is to get ip address via DHCP. If you need to configure IP manually, choose "Manual".